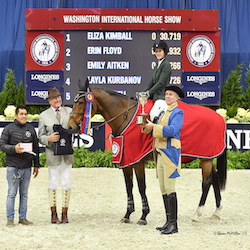 This innovative program, now in its 10th year, is an opportunity for Washington-area teens to be a part of the inner workings of the Washington International Horse Show. 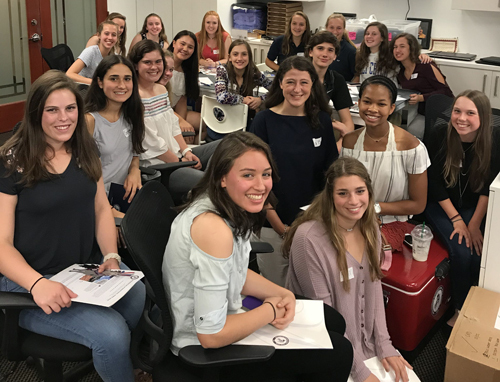 Each year through an application process, approximately 30 teens from public, charter and private schools in Maryland, Virginia and Washington, D.C. selected to participate on the Junior Committee. During the summer and fall, working with WIHS staff, committee members contribute to planning the show, learn new skills, and work on youth and community activities. During show week, committee members serve as tour guides and press escorts, manage the Snapchat takeover, and share equestrian knowledge to help educate show visitors about horses and horse sport. 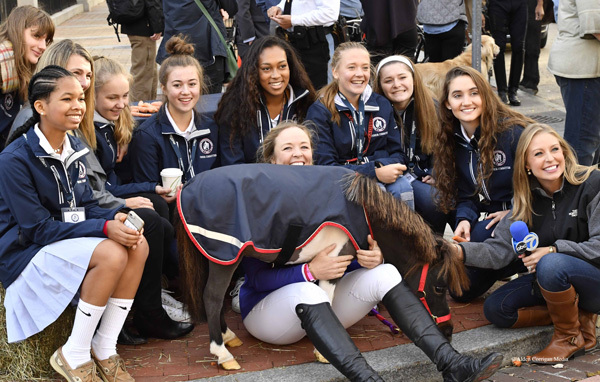 Junior Committee members also are involved in equine-related volunteer activities, culminating in the popular WIHS Kids’ Day . The WIHS Youth Ambassador holds a leadership role as chair of the Junior Committee and represents the show’s youth perspective to the media. Those wishing to be considered for the 2019 WIHS Youth Ambassador will complete an additional application to showcase strengths in leadership and management. Application(s) deadline: Monday, April 1, 2019. Those wishing to apply for the position as Youth Ambassador must complete a second application (included in application packet). Applicants must be students between the ages of 14 and 18 enrolled at local Washington, D.C.-area schools. Junior Committee members meet at WIHS office to share ideas for the show. 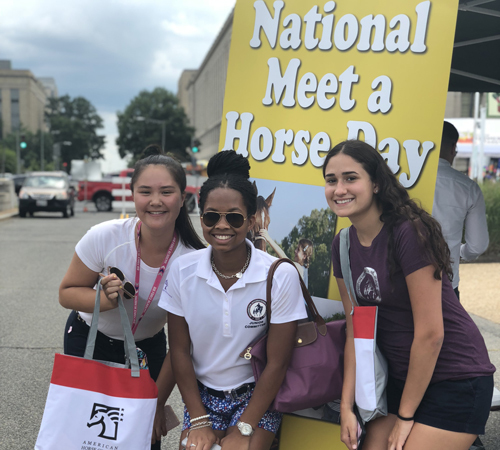 A JC team volunteers at American Horse Council's National Meet A Horse Day. 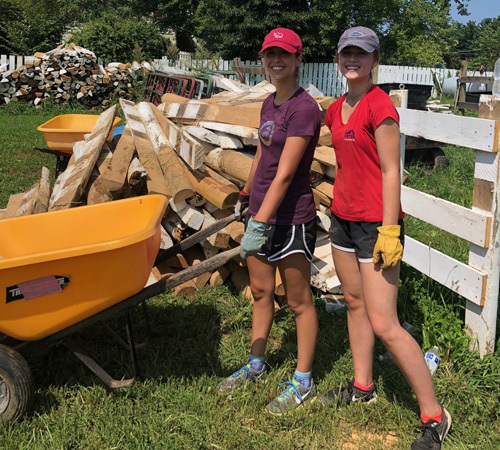 Gloves on for fence mending at Northern Virginia Therapeutic Riding.